To say that Captain Friedrich Cole was not happy would have been an understatement. Already two hours late leaving the Port of Liverpool, he paced the bridge of the SS Armagon. ‘The old man’ as he was called by his crew was a hardnosed veteran seafarer with a stickler for detail and for being on time. But, tonight, his orders were to wait. When he saw the truck with the Blue Funnel insignia on the dock coming towards him, he sighed a relief and galvanized his men into action. He had hand-picked his crew for tonight. No where near the full complement of crew, each man, nevertheless, was a seasoned sailor, knew his duty and the real reason for the voyage. When the wooden crate had been hoisted up and placed in the hole, Captain Cole gave the orders to cast off. Once clear of the harbor, the ship went to FULL SPEED. For a while Captain Cole remained on the bridge of his humble 7,250-ton merchant vessel as it ploughed a lonely course across the gentle Irish Sea toward Dublin. The partially full moon shone like a high-powered spotlight in a cloudless night sky, sparkling with stars. The rendezvous should be an easy one, the Captain mused, satisfyingly, when he left the bridge and headed to his cabin. “Yes…Heil Hitler,” returned Friedrich’s distracted, unenthused reply and salute. Completely absorbed in the cable, he entered his cabin and shut the door behind him. Sitting at his desk, he took out his code book and began to decipher the message. When he had finished, he pulled out his Vauen pipe from the drawer and filled its bowl from a can of Edgeworth tobacco. Lighting it, he sat back in his chair and purged the smoke through his nostrils. “The devil does take a hand in what’s not thought out clearly or done in haste.” Furrows formed at the bridge of his nose as he shook his head in disbelief. “Stupid. Arrogantly stupid.” He made a quick mental calculation. There’s roughly 120 bags of mail. He glanced at his watch. There should be enough time. He called up to the bridge and told his First Officer, Helmut Schmidt, to choose five of his most trusted men to go to the mailroom. When asked “Why?” he replied that they would be searching for a slender green bag and any mail prominently labelled official communications. Once completed, the items were to be brought to his cabin. Hanging up the receiver, he poured himself a glass of schnapps and sat back to enjoy his drink and smoke. This has turned out to be a more profitable trip than expected, he thought raising his glass and downing its contents. Pouring another schnapps, he propped up the pillow on his bed and stretched himself out to wait. Captain Cole was awakened by the acrid smell of smoke and banging at his door. His pipe had fallen from his mouth and the ash had begun to burn through the woolen blanket. In a litany of profanity, he frantically smothered the errant ash. Gathering himself together, he opened the door. On the bridge, Captain Cole peered hard through his binoculars. The mail he had asked for was in his cabin but he was unable to discern whether the approaching ship was the rendezvous vessel or some nosey British Coastguard cruiser. On tenterhooks, he continued to observe it. Time slid by. The Irish Sea had become rougher. When the signal came, it came with much relief. Far too much was now at stake to be lost to happenstance. Leaving his First Officer in charge, he quickly returned to his cabin to retrieve the mailbag containing the pertinent materials he had asked for. Once the crate and his men had transferred over to the armed merchant-cruiser, Berliner, Captain Cole gave his wireless operator, Wilhelm, the order to send the Mayday. Standing on the deck of the Berliner, Captain Cole watched as the Berliner turned its 5.9-inch guns on the Armagon and fired. Rudolf Steiner, the crusty, forty-five-year-old captain of the Berliner turned to Friedrich Cole with a questioning expression as he nodded towards the mailbag he was carrying. Friedrich waved him off. And they watched in silence as the Armagon was dispatched to the bottom. When Louise was finally conscious, two days had passed since the incident at her house. She was surprised to find Inspector Collier by her bedside. “Thank god there’s nothing in there to do damage to,” he chuckled. “Watch it, Sandy Collier! Or I’ll give you a fat lip.” She tried to sit up but thought better of it. “I think so too,” came a voice behind him. Turning, Collier greeted the doctor and the nurse. “I’ll just be outside in the corridor,” he assured Louise. 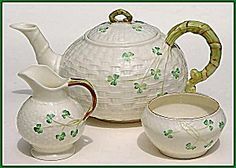 “It was Irish Belleek china… Very expensive…It was supposed to be my heirloom,” she replied, indignantly. “What am I missing in this conversation?” he asked, somewhat discombobulated.